It’s that time of the year again. Each February, the optometric community bands together to create awareness about age-related macular degeneration (AMD). AMD is a leading cause of vision loss for people 50 years and older; early detection plays a key role in the outcome of the disease. That’s why bringing awareness to the disease and its risk factors is so important. Macular degeneration is a disease that damages the macula, which is a small area in the center of the retina responsible for sharp, clear central vision. The disease comes in two forms, wet AMD and dry AMD. The most common form, dry AMD, which affects around 80% of AMD patients, is when the macula gradually thins, and small clusters of protein called drusen begin to grow. Drusen result from cells in the macula that cannot rid themselves of metabolic waste called lipofuscin. The lipofuscin accumulates as drusen which causes a gradual vision decline. Dry AMD can turn into wet AMD when abnormal new blood vessels grow through breaks in a membrane layer of the thinning macula. The fragile blood vessels leak fluid into the macula, causing rapid decrease in central vision.The wet form is less common, yet it can cause a faster and more drastic vision loss. If a person has dry AMD which turns into wet AMD, this should be treated as soon as possible, as within days this can cause permanent scarring. Fortunately, there is effective treatment for wet AMD if detected before scarring arises. Both forms of AMD result in a loss of central vision, while peripheral vision stays intact. Symptoms can present as difficulty focusing on objects in front of you, or a blurred or dulled area in the central visual field which leads to having trouble reading, doing close work, driving or even recognizing faces. With time, the size of the blurred area can grow and eventually develop into black spots in central vision. Oftentimes patients don’t even notice symptoms until a significant amount of damage has been done. This is why regular eye exams are critical, especially if you are at risk. While AMD alone won’t cause complete blindness, it can cause a permanent, total loss of central vision if not treated. Vision loss can lead to a condition called low vision which can have a very serious impact on daily living and require a lot of assistance both by vision devices and the help of others. As it is an age-related disease, age is a significant risk factor for AMD, specifically once you reach 60. However, age is not the only risk factor. While some risk factors for AMD cannot be controlled there are lifestyle factors that you can change to prevent AMD. Family history: If you have a family history of AMD, you are more at risk. Research has identified at least 20 genes that are associated with AMD, showing there is a genetic factor. Race: Caucasian descent is a higher risk factor for AMD, and in fact, Caucasians with light irises have an increased risk from age 50. Smoking: Smoking doubles your risk of developing AMD. Overweight/Obesity: Research shows that being overweight is a risk factor for AMD. Having heart disease, high blood pressure and high cholesterol increase your risks. Diet: An unhealthy diet rich in saturated fats is a significant risk factor. Early exposure to UV light and blue hazard light (especially with the younger generation having increased exposure to digital devices) can cause early onset AMD. Eat a healthy diet rich in omega 3 fatty acids, (from fatty fish or flax seeds), leafy greens and colorful fruits and vegetables. 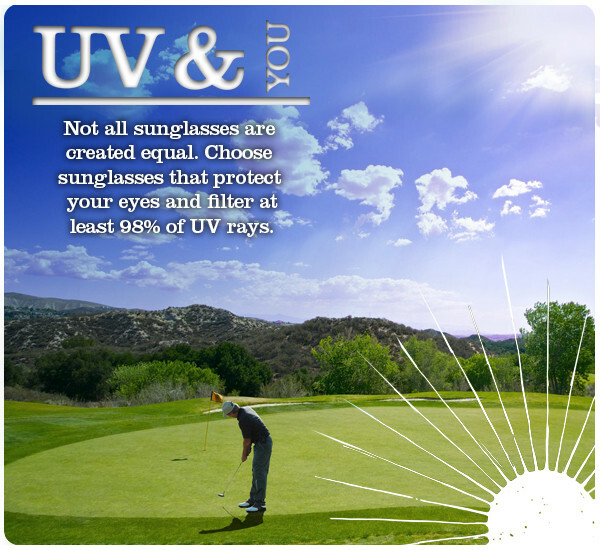 Protect your eyes using UV protection and blue blocker coatings on eyeglasses. In addition to a comprehensive eye exam, your doctor may be able to test for certain risk factors. For example, there is now technology available that can test for lutein levels via technology such as QuantifEye and Macuscope, (low lutein can indicate increased risk). In addition, genetic testing is also now available through a simple cheek swab to determine an individual’s risk for developing AMD. There is no known cure for AMD, however there are treatments available that may slow the progression of the disease. For dry AMD, studies (AREDS and AREDS2) have concluded that a particular high-dose combination of nutritional supplements taken daily can slow the disease. The combo includes vitamins C and E, Lutein, Zeaxanthin, Zinc and Copper. For wet AMD, the goal is to reduce the growth of abnormal blood vessels and the leakage that takes place and this is done through certain medications called anti-VEGFs which are injected into the eye or with laser surgery. Untreated macular degeneration can have devastating effects on your independence and quality of life. If you are 50 or over, speak to your eye doctor about your risk factors and what you can do to prevent AMD.